When I walk down the street after my interview in a consultant firm, I found him .. The legend of Times Square! 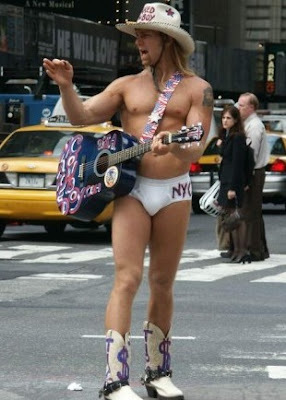 - Present - The Naked Cowboy! Born Robert John Burck, the Naked Cowboy is a cottage industry unto himself, often seen holding court on Duffy Square surrounded by his many admirers.